Contemporary maintenance management software will allow you to collect and report on data across your entire asset inventory, providing numerous measures to help you make better decisions and answer business-critical questions. And many modern CMMS solutions allow you to connect to meters and gauges directly, eliminating the need for meter readings and manual data entry, which can drastically increase your data volume. It’s only natural to want to use it all. So how do you get the results you want and avoid the temptation to use all that power? Start by framing your goals with simple questions. Use those questions to create simple reports with the answers you seek. Whether you’re using MPulse or another leading CMMS solution, don’t hesitate to call support for help. Tell them the question you’re trying to answer, and you’ll likely have a simple, useful report in minutes—and you’ll be able to configure the next one on your own. Even simple measures from work order records can provide powerful answers. Consider this example. You might wonder, “How much am I spending on maintenance for each of my work order types?” The following graph answers this question. This type of report can be easily generated from most any CMMS. At a glance, you’ll know exactly how much money each work order type is costing your business in maintenance for a specified timeframe (in the example provided, a year), and certain questions can be quickly answered. 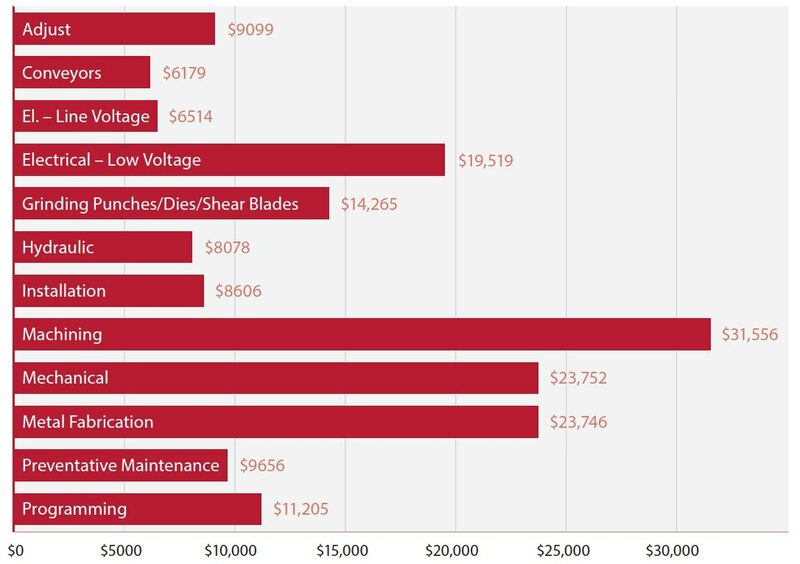 Why are my machining maintenance costs so high? What new equipment needs to be purchased, if any? A CMMS helps you see accurate, complete data, and this data can be applied directly to purchasing or other important organizational decisions. Be careful, though, to keep your reporting simple, and focused on the questions that matter most to you. To learn more about the best way to use your CMMS data, download our informative article, CMMS by the Numbers: The Importance of Data Driven Decision-Making.